Oh dear, it’s with mixed feeling that I approach this review. 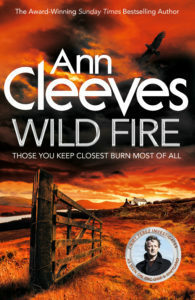 On the one hand Wild Fire is a new Shetland novel from marvellous story-teller Ann Cleeves, with Jimmy Perez back in fine form solving another murder on those remote Scottish islands. 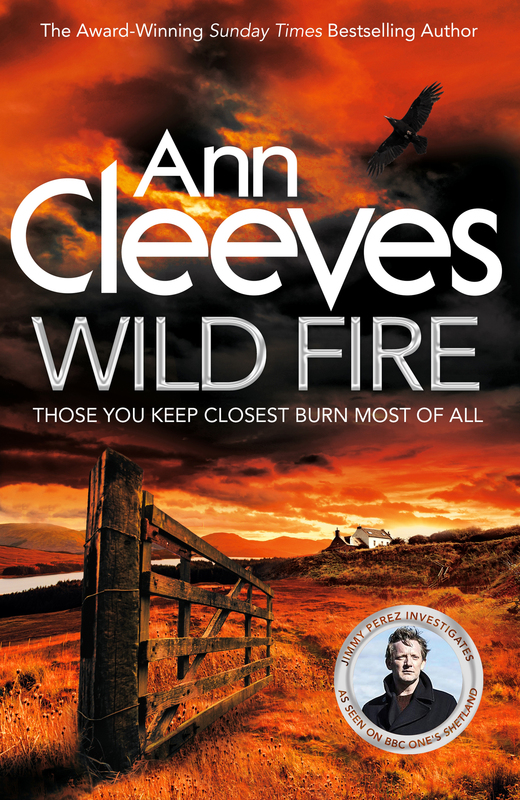 On the other hand – sob – it is the last Jimmy Perez murder mystery we’ll read, as Ann Cleeves brings her popular Shetland series to its end. The story opens with the discovery of the body of a young woman, Emma Shearer. She’s found hanging in the barn belonging to newcomers to the small town of Deltaness – Helena and Daniel Fleming, their daughter Ellie and autistic son Chris. It’s not the first time a body has been found there – the previous owner Dennis Gear hanged himself there, after having to sell the house. But this time it is not suicide – it’s murder. Who could have killed Emma? Who had the motive? The opportunity? The casual disregard for human life that would allow them to do such a thing? Could the Flemings be involved – had Daniel perhaps had an affair with Emma? Or what about the girl’s employers, the local doctor and his wife, who’d employed Emma to look after their now teenage children and the two younger ones that followed. 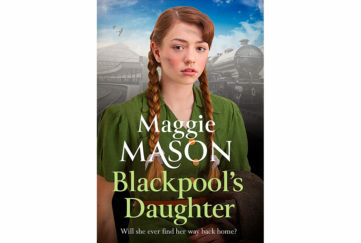 Then there’s Emma’s on-off boyfriend, Magnie Riddell. He doesn’t have an alibi for that night. And his mother and aunt are decidedly strange, too. Emma herself is an enigma. She has no family and few friends, and is held in little affection by her employers and their children. But surely that’s no reason for anyone to kill her. 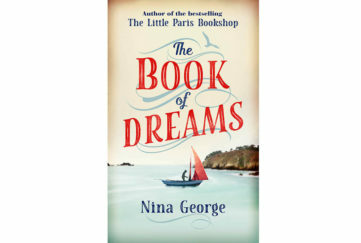 Jimmy Perez has to discover if the close-knit community of Deltaness has turned on itself or if the clues to Emma’s murder lie on her past in Orkney where she grew up. So many secrets… so many lies… and in between it all, Jimmy is dealing with his own demons. 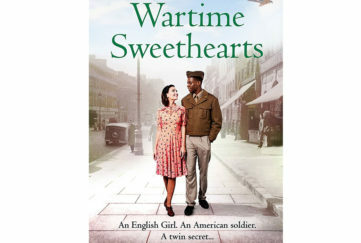 Still grieving for his lost love, Fran, he now has to face the fact that his relationship with his boss Willow Reeves has just turned a whole lot complicated. When she flies over to the island to help investigate the case, bringing unexpected news, Jimmy doesn’t know how to react. As always the two work perfectly and professionally in tandem on the case. But on a personal level, they couldn’t be further apart. It will take another killing and an exciting denouement in the Shetland wilds before Emma’s murder is finally solved. But with Jimmy and Willow both in grave danger it may be that there is no future for them or their relationship. A fine finale from Ann Cleeves who thankfully isn’t hanging up her pen yet! Click here to discover why she has brought Shetland to an end and what her plans are for Vera and future novels. Don’t miss our September 15 issue, on sale September 11, where there’s a chance to win a signed copy of Wild Fire. 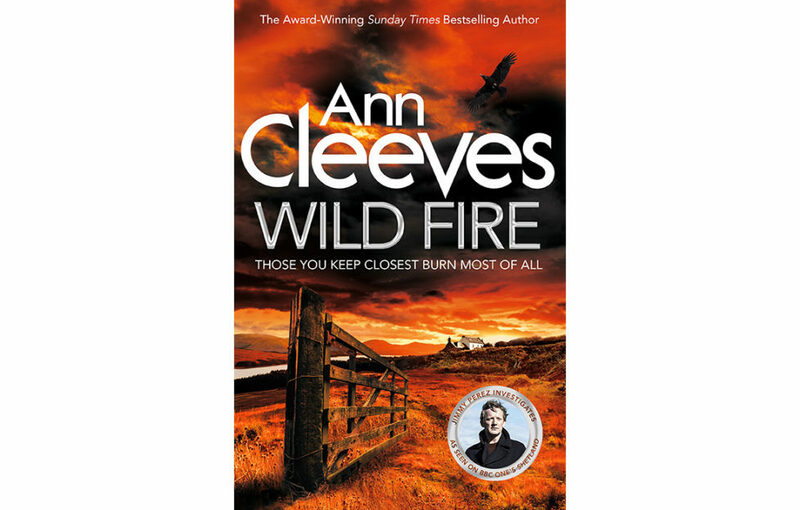 Wild Fire by Ann Cleeves is published by Macmillan on September 6 in hardback, RRP £16.99. Also available from Amazon.